We have entertaining and informative conversations about organ, tissue and eye donation & transplantation. Over 114,000 people are currently waiting for a life saving transplant. Our goal is to raise awareness about the need for the life saving gifts of organ, tissue & eye donation. You can help. Register as a donor at registerme.org. 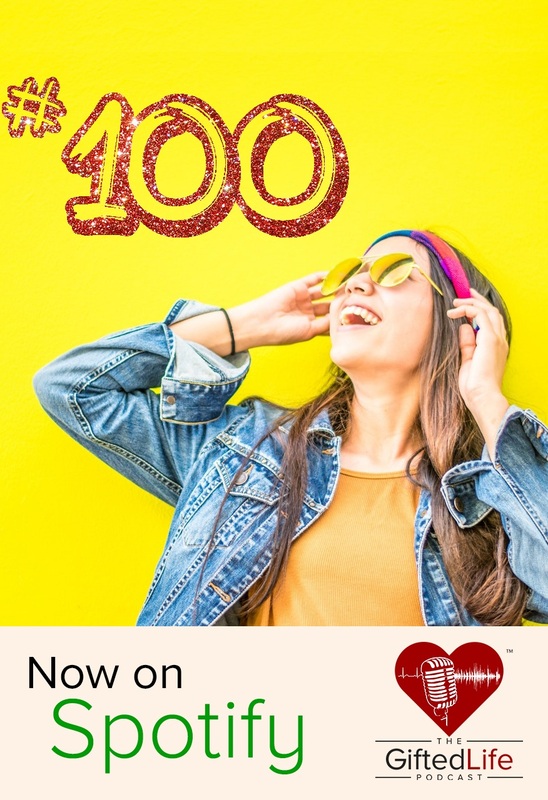 Share this podcast with your family and friends. Share your inspiring stories with us info@thegiftedlife.org or give us a call at (504) 648-3477. You can view this website in another language using this tool. Show Notes: On episode 106 we are talking about aviation and transplantation. Indiana Donor Network launched its own aviation division, TxJet, 5 years ago to help save lives. IDN’s Chief Operating Officer, Steve Johnson, tells us why their organ procurement organization took to the skies and the innovation behind TxJet. 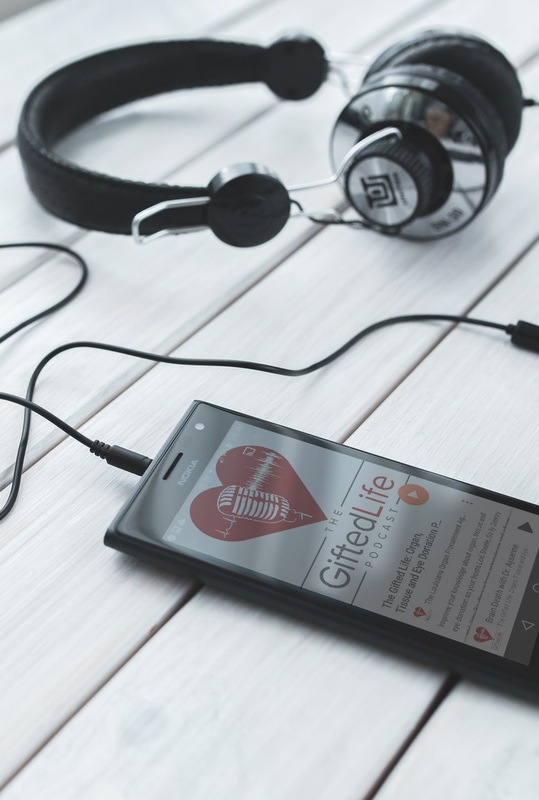 Sally gives us tips for dealing with grief on an everyday basis, and we honor hero Jeremi Gary right here on The Gifted Life Podcast. Show Notes: Imagine being a police officer, stopped at a red light towards the end of your shift, and suddenly getting hit from behind by a cab going over 100 miles per hour and your car bursting into flames! Hear Jason Schechterle’s story and how he survived thanks to tissue donation, his fellow first responders, medical staff, perseverance and determination. Sally walks us through tips for connecting with siblings during times of grief, and we honor hero, Brittany Cail, all on this episode of The Gifted Life Podcast. Show Notes: On episode 104, we talk about advancements in breast reconstruction following mastectomy to treat breast cancer. Nick Pashos and Billy Heim from Bio-Aesthetics join us to share information about the company’s exciting research and how tissue donors are giving new treatment options. Sally sparks a roundtable discussion about potential myths surrounding donation and how myths can negatively affect a person’s decision to register as an organ, tissue and eye donor. We honor hero Matthew Hull, and answer a listener’s question about tissue donation all on this episode of The Gifted Life Podcast. Show Notes: Episode 103 is an emotional story about a 13 year old boy who has to come to grips with the gravity of his situation after learning he desperately needs a new heart. Michael Kutcher, twin to television star Ashton Kutcher, joins us to share his 27 year journey to, and after, heart transplant. Hear what life has become for this staunch advocate for registering as an organ, tissue and eye donor, and how he joined the Be The Gift campaign in Tennessee. Sally sparks a lively conversation about understanding body language and we honor a hero, Mark Phillips, who has a special tie to LOPA and is shared by Donate Life Northwest. Show Notes: Episode 102 is the second of our two part series about Briggs Elliser, a pediatric liver recipient. The team continues the conversation with his mom, Brittany Elliser, and this time we focus on his personal journey and the heroes who have made his life possible through organ, eye and tissue donation. Brittany introduces us to donor mom, Olivia Hoblit. Her daughter, Trinity, is one of Briggs’ heroes. We find out how the families met, and how the Hoblit family is educating others about brain aneurysms by establishing the Trinity Hoblit Foundation. Sally tells us why we like hearing our name, and we honor Roger Winchester in our hero segment. Show Notes: Episode 101 is the first of a two part series about Briggs Elliser, a pediatric liver recipient who was diagnosed with biliary atresia as an infant. The team talks with his mom, Brittany Elliser, and Dr. John Seal, one of the transplant surgeons on Briggs’ care team, about what happens when transplants don’t go as planned. Dr. Seal also educates us about how one liver can be used to save 2 recipients, and explains the listing process in our Q&A. Sally shares 5 things you say that may turn people off, and we honor Steve Greene in our Hero segment. Show Notes: It’s our 100th episode & we are going Hollywood! First, we are joined by Shireen Razack, one of the writer’s for NBC’s hit television show, New Amsterdam. She shares the behind the scenes inspiration for the show’s 7th episode, The Domino Effect. Then we welcome Tenaya Wallace, with Donate Life Hollywood, and learn more about the importance of accurate story lines in the entertainment industry. Sally holds a roundtable discussion with our hosts and LOPA’s CEO, Kelly Ranum, reflecting on how the podcast started and the impact it’s making. Then we honor our 100th hero, Kaden Caruso, and answer a listener’s question right here on The Gifted Life Podcast. Show Notes: Happy New Year! On episode 99 we kick off 2019 talking about ways you can control your end of life decisions. What’s a will and what’s a living will? Should I declare that I’m an organ, eye and tissue donor in a will? Our guest, estate planning attorney, Paul Rabalais, has the answers. Sally gives us tips for shifting to a new perspective. We honor hero, Alan Varnado (Puissegur), and answer a listener’s question right here on The Gifted Life Podcast.